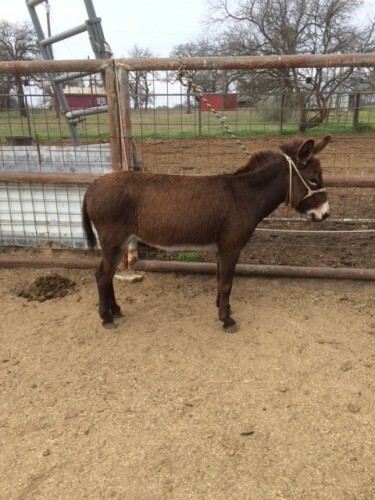 Price reduced: Here’s a beautiful chocolate colored Jenny donkey that has some mini in her bloodline. She is 3YO and halter broke to stand tied but no further training due to lack of time. She has been hand fed so is getting gentle. She is pretty and will make a nice jenny. Also have some pregnant jennys and a John. Will consider all offers.